I was thinking of you today while attending a lecture on organizational leadership. The gentleman giving the talk was a CEO of a hospital (based) nursing home. All the leadership recommendations he gave are things you’re already doing. Amazing! I can’t thank you enough for the care of my mother. Our leadership team has over 100 years of combined nursing experience. At Oak Hill Assisted living, we pride ourselves on being leaders in the assisted living industry. Our staff work diligently to provide excellence in care and to continuously improve the quality of service provided everyday to our seniors. To bring purpose and dignity to the oldest of our old is Pam’s great passion. Building on 40 years of nursing and broad leadership experience, running a home care business is a natural fit. Together with her husband Keith, they have owned and managed their assisted living homes for close to 15 years. Pam is originally from Wayzata, Minnesota and received her advanced practice nursing degree from the College of St. Catherine, St. Paul. In her free time, Pam’s all time love is to be with her family and watch her 7 precious grandchildren grow and play. She enjoys music, growing flowers and watching funny movies. Deeply grateful for her friendships, to catch a meal or just spend time with friends will always turn an ordinary day into an extra ordinary one. Growing up in a military family, Elaine has lived and traveled extensively throughout the United States, including three years spent in Germany. She received her LPN training in Salt Lake City, Utah. A graduate of Grand Rapids high School, Elaine returned to northern Minnesota after 18 years away. She brings to Oak Hill a contagious laugh and smile, one that will brighten anyone’s day. She enjoys caring for seniors, helping to make each and everyday a good one as they live out their golden years. Elaine enjoys cooking and trying out new recipes. Residents at Oak Hill will often enjoy one of her tried and true favorites on the menu. 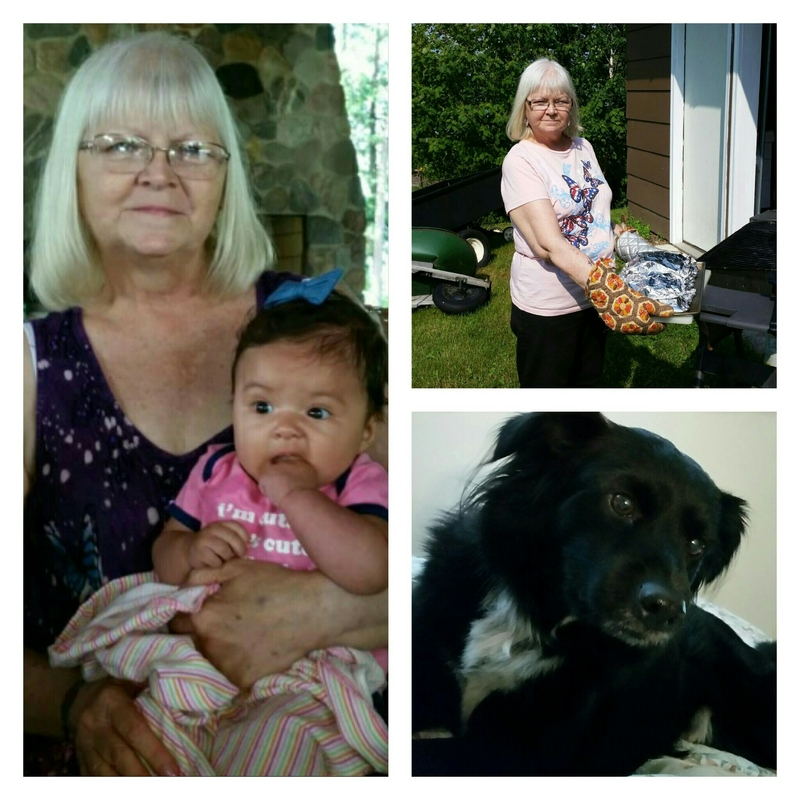 Elaine cherishes time spent with her family including her three children, four grandchildren, one great grandchild and her puppy companions – Foxy and Orion, and her cats- Natasha and Patches. Jen was born and raised in Grand Rapids, Minnesota. She completed her Associate of Arts degree and her LPN Program at Itasca Community College. She is currently pursuing a baccalaureate nursing degree from Excelsior College. Compassionate and kind, Jen’s 26 years of nursing experience has made her a steady and successful leader at Oak Hill for more than a decade. Jen belongs to a very active and close family including her husband Gordon and their two amazing children. Together they enjoy camping, fishing and hunting. Jen enjoys watching and encouraging her school age children in their sports and extracurricular activities. Her British black lab ‘Deek’ is a loved and welcomed visitor at Oak Hill. Ellen has been employed at Oak Hill since 2014. She started working as a certified nursing assistant while pursuing her bachelors degree in nursing at Bemidji State University, earning her RN degree in May, 2018. Her grandmother and aunt have been large influences on her choice of becoming a professional nurse. She continues to strive for new learning and leadership opportunities. With all that nursing has to offer, Ellen enjoys caring for seniors, ensuring their days are nothing short of happy. In Ellen’s free time, she enjoys playing with her son and watching him grow. She enjoys working on projects around her new home. Family and friends are very dear to Ellen’s heart. Her family is close knit, spending time together, enjoying the outdoors and being on the lake. Ashley is the newest member of Oak Hill’s leadership team. Born and raised in Deer River, MN, she brings leadership not only personally but professionally as well. After completing her nurse training at Itasca Community College, she headed to Duluth for new adventures. There she worked as a nursing supervisor in a 350 bed assisted living facility. She also brings experience from work in an advanced care, transitional rehabilitation unit. When not at work, Ashley enjoys crafting, reading, being by the water and spending time with her loved ones. Ashley became a proud aunt for the first time this past summer. Her family means the world to her which is ultimately what led her back home to Grand Rapids.